Goals from Ferran Corominas and Brandon Fernandes helped the Gaurs book a quarterfinl berth. 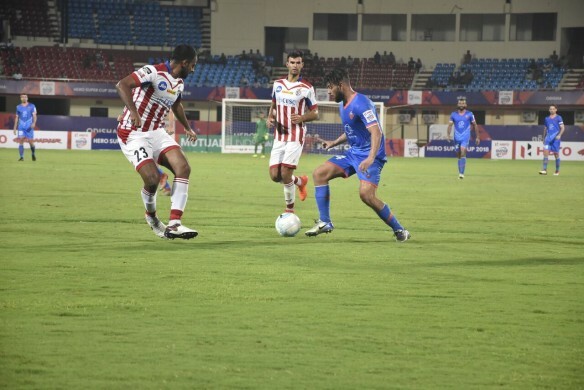 FC Goa got the better of ATK in their pre-quarter final fixture of the Hero Super Cup, as goals from Ferran Corominas, Hugo Boumous and Brandon Fernandes gave them a 3-1 win at the Kalinga Stadium in Bhubaneswar on Tuesday. Robbie Keane scored the sole goal for the two-time Hero Indian Super League (ISL) champions, who faltered in front of Goa’s potent attack. ATK started on the front foot building up a couple of chances while coming the closest in the sixth minute through Conor Thomas, whose half-volley from outside the box narrowly missed the side-post. Minutes later, a defensive lapse saw Keane running in to hit the ball home before Goa’s custodian Naveen Kumar rushed forward to collect the erroneous backpass. 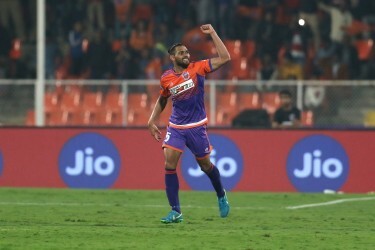 Goa’s first chance came in the 13th minute from a corner-kick, when Sergio Juste jumped higher than everybody else but failed to connect. Even Edu Bedia had a go from distance, but too much curl on the ball saw it flashing past the post. In the other end, Keane had a go on goal but his deflected shot off Juste hit the crossbar. Goa again surged forward with Corominas setting up Boumous, whose first-time effort with ATK custodian Soram Poirei at his mercy sailed way over. But Goa’s constant efforts reaped dividends as Corominas scored in injury time. The Spaniard latched onto Bedia’s defence-splitting through ball and slotted home neatly to ensure the Gaurs entered the half leading 1-0. ATK, however, was in no mood to hold themselves back and opened the second half with the equaliser. Zequinha’s cross from the left was headed back by Anwar Ali towards an unmarked Keane, who calmly sent the ball past the keeper into the back of the net. Goa tried to gain back the lead through Corominas and Boumous’ partnership but ATK held their own. The Spanish combination continued their onslaught in the ATK box, before finally managing to break their resistance in the 70th minute through Boumous himself. An intelligent lob from Corominas set Boumous up, who after beating the offside trap, rushed forward to find the net past a helpless Poirei. Four minutes later, Brandon had a chance but Poirei’s save kept his effort at bay. However, Brandon did manage to breach the ATK custodian minutes later, when his curler from a Corominas lay-off found the top corner and doubled Goa’s lead. ATK tried to find a way back but eventually ended up losing to gift the Gaurs a quarter-final berth.